Last year, Asus launched a superb device named the Zenfone Zoom that was a camera-centric device with a 3x optical zoom. Moreover, it featured a premium design and built with that leather finish on the back. The successor of this device, the Asus Zenfone Zoom S, is rumored to launch later this month but today, the full spec sheet of the phone has leaked and that too, via the official site. It seems like the web page of this device was accidently made live on the web that was caught by our eyes. Just like last year’s Zenfone Zoom, this is a camera centric device with a dual rear camera setup. Starting off with the design, there is not any leather finish like last year’s Zenfone Zoom, and the phone has been made out of metal. The phone looks premium and is not thick, despite the fact that it houses a massive 5,000mAh battery. Did we mention that it measures 7.99mm regarding the thickness? Another interesting thing is the weight of the device which is just 170 grams that are great considering the fact that it has a big battery under the hood. The rear camera setup is somewhat similar to iPhone 7 Plus with the LED flash and Laser AF below it. The Antenna lines pass through the camera lens that makes the phone’s symmetry great. The fingerprint scanner is on the rear side just like other Asus devices. Coming to the specifications, the Asus Zenfone Zoom S has a 5.5-inch Full HD AMOLED display with Corning Gorilla Glass 5 protection. It is powered by Qualcomm Snapdragon 625 octa-core processor based on 14nm technology along with the Adreno 506GPU. 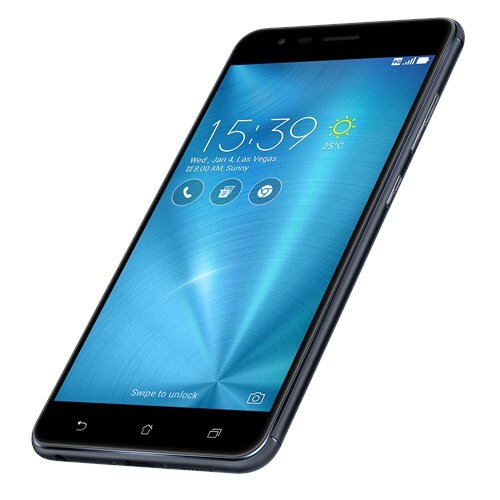 Coming to the memory, the Asus Zenfone Zoom S has 4GB RAM and up to 128GB internal storage space. The device runs on Android Marshmallow v6.0 with ZENUI 3.0 which is disappointing as it is a 2-year-old version of Android. Now, let’s talk about the main highlight of the phone – The camera. The phone features a 12MP rear camera with a f/1.7 aperture and Sony IMX362 sensor. There is an Aus SuperPixel Technology for 2.5 times light sensitivity as compares to the iPhone 7 Plus. Other rear camera features include – 4-axis, four stops Optical Image Stabilization for steady photos, 3-axis Electronic Image Stabilization for shake-free videos, 4K UHD (3840 by 2160) 30 frame per second video recording, Color correction (RGB) sensor for the best white balance and natural-looking colors and Dual-LED real tone flash. The camera has Asus’s TriTech+ AutoFocus system with an instant focus of 0/03s. It has the world’s fastest Dual Pixel PDAF, 2nd gen Laser AF and much more. Coming to the front camera, the Zenfone Zoom S has a 13MP front camera with Sony IMX214 sensor and a f/2.0 aperture. There is also a Screen Flash feature. Overall, the device seems superb if we consider the camera department. 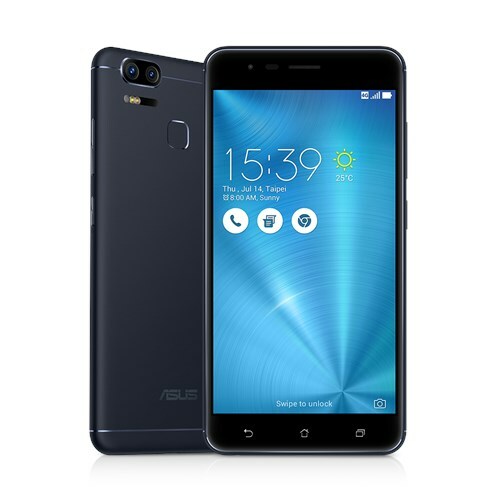 Regarding the audio, the Asus Zenfone Zoom S is really strong in this department also as it has Hi-Res audio 192kHz/24-bit standard that is four times better than CD quality & DTS (Digital Theater System) for headphone support. Other features of the device include USB Type-C port, Reverse Charging, Dual SIM dual standby, GLONASS, BT 4.2, VOLTE and more. Talking about sensors, it is equipped with Accelerator, E-Compass, Gyroscope, Proximity sensor, Ambient light sensor, RGB sensor, IR sensor and Fingerprint scanner. Overall, the Asus Zenfone Zoom S is a superb device with amazing specs. There are three color options including Navy Black, Glacier Silver, Rose Gold. If the company prices it right, this can be a very successful phone. But, the company did make a mistake by pricing the Zenfone 3 series high, and if they do the same thing this time, it won’t be good for Asus. Let’s see what the pricing is going to be.